A new door can make your home more energy efficient and create a more aesthetically pleasing environment. Whether you are looking for an entry door, patio, slider, storm, or interior door, we can help you create any look you desire. 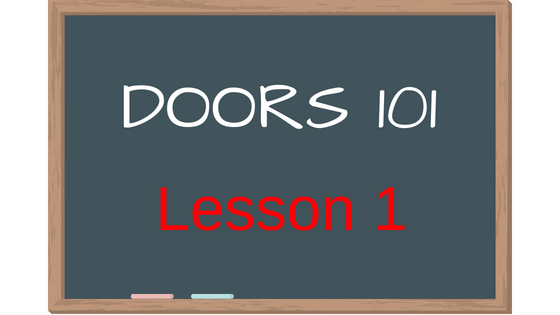 Entry Doors are used on the exterior of your home, or for garage entry. They can be slabs only with or without glass. Front entries often feature side lights – or glass panels – which frame the door slab. Patio Doors swing open and closed, and offer outstanding views to the outdoors with an expansive opening. Both slabs may be active. Alternatively, one door slab can be inactive while the other slab swings. Sliding Doors slide open and closed on a track, and offer outstanding views to the outdoors as well. They work well in tight areas where there isn’t room for a swinging door. Storm Doors offer the opportunity to showcase your entry, ventilate and let in light, and reduce drafts. 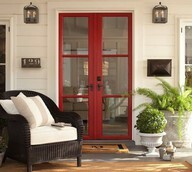 Many people use storm doors so they can open the entry door for light and keep bugs and critters out. Interior Doors are available for virtually every opening throughout your home. There are many custom options and unique wood species to make your dreams a reality. The Door Store and Windows offers custom and standard replacement doors installed in any opening in your house. Click here for even more info. Or better yet, call Dena Shoemaker our door specialist at 502-896-1717.